The Personal Information Protection Act (PIPA) came into effect on January 1, 2004, and governs the collection, use, and disclosure of Personal Information within British Columbia’s private sector, including dental practices. Federally, the Personal Information Protection and Electronic Documents Act (PIPEDA), governs the collection, use and disclosure of Personal Information. In addition, Canada’s anti-spam legislation came into effect on July 1, 2014. Canada’s anti-spam legislation regulates how businesses and individuals communicate electronically. When we communicate with you, we may communicate via electronic means, such as e-mail. We strive to ensure that our Commercial Electronic Messages (“CEMs”) are sent with consent, identifying information and unsubscribe mechanisms. We require all CEMs from our Office to be in compliance with Privacy Laws. If and when we communicate with you using CEMs, you can opt out of receiving such messages by following the “Unsubscribe” link included at the bottom of such messages or by contacting Granville Station Dental at (604) 408-9200. Any questions or concerns with respect to CEMs from our Office may be addressed to Granville Station Dental by mail at 678 Dunsmuir St, Vancouver, BC V6B 1N3 CA or by phone at (604) 408-9200. In the event that our Office inadvertently sends out a CEM without consent, we commit to investigating every such instance and assisting the employee(s) or manager(s) involved with renewing their understanding and awareness of our compliance responsibilities. Our staff are briefed on the importance of privacy and receive training on the handling of your Personal Information. Our Office is comprised of many persons working together to ensure that our patients and clients receive proper care. We take this opportunity to describe the structure of our Office so that you understand who may be handling your Personal Information and in what manner. At our Office, professional dental services are performed by Service Providers. All dentists performing professional services at the Office are Members of the College. All institutional health care services performed in the Office are provided by our Affiliate. We have appointed our Affiliate as our delegated representative pursuant to section 4(4) of PIPA To facilitate the ability of our Affiliate to carry out its responsibilities to us, your Personal Information may be disclosed to, used by, and collected by our Affiliate. All actions by our Affiliate in respect of your Personal Information shall be in compliance with this Code and Privacy Legislation. By providing your Personal Information to this Office or by using our services, you are consenting to its use by us, the third parties listed above, the Service Providers and our Affiliate, as set out in this Code. We have permitted our Affiliate to collect, use or, disclose, retain, or dispose of our patients’ Personal Information which we ourselves may collect, use, disclose, retain, or dispose of provided that its actions are not contrary to the limits imposed by us, Privacy Laws, or such other applicable law. We have informed our Affiliate of its duties under the Legislation. The purposes for which personal information is collected in this Office will be identified before or at the time the information is collected. Certain instances where our Office may collect Personal Information without your Consent are outlined in the Privacy Laws. This Office requires either express consent or implied consent from our patients before we may collect, use, or disclose personal health information. When we collect, use, and disclose your personal health information for health care purposes, the legislation generally permits us to rely upon your implicit consent. However, if you are not deemed to consent to the collection, use or disclosure of Personal Information under Privacy Laws, we may be required to obtain your express consent. Privacy Laws also provides instances where we may collect, use, or disclose your personal health information without consent. Implied consent enables us to conclude from surrounding circumstances that a patient has agreed to the collection, use, or disclosure of Personal Information. Consent is required when we are collecting, using or disclosing your Personal Information. In order for the principles of Consent to be satisfied, our Office will disclose to you verbally or in writing the purposes for the collection of the Personal Information. For minors who are incapable of giving or refusing consent, a lawful guardian may consent to the collection, use or disclosure of the minor’s Personal Information. When our Office needs consent for the collection, use or disclosure of Personal Information about a minor, we may either obtain it from that minor if capable, or the lawful guardian if the minor is incapable of giving consent. Personal Information shall not be used or disclosed for purposes other than those for which the information is collected, except with your Consent, or as permitted by law. This Office and our Affiliates may perform activities in other provinces and territories and outside of Canada through third party agents. You acknowledge and agree that, as a result, your Personal Information may be transferred to, processed, used, stored or accessed in other provinces and territories and in countries and may be subject to the laws of those jurisdictions. For example, Personal Information may be disclosed in response to valid demands or requests from government authorities, courts, or law enforcement in other countries. We will use contractual or other means to provide a comparable level of protection while the information is being accessed and/or processed by any such third party. However, contractual or other measures we may use to protect your Personal Information are subject to the legal requirements of foreign jurisdictions where your Personal Information may be transferred, processed, use, stored or accessed. Our Office keeps Personal Information only as long as necessary to satisfy the purposes for which it was collected, however, some Personal Information is kept for a number of years to comply with legal requirements. Our Office has protocols in place for the retention of Personal Information in accordance with applicable law and with the College’s dental recordkeeping guidelines. the College’s dental recordkeeping guidelines. Our Office staff are aware of the importance of maintaining the security and confidentiality of your Personal Information and we have taken reasonable measures to safeguard your Personal Information. We use reasonable measures to ensure your Personal Information is protected, whether recorded on paper or electronically, and care is used in its retention and destruction with the goal of preventing unauthorized access while in our care and control. Our Office is not required to disclose Personal Information as outlined in certain instances in Privacy Laws. You shall be able to challenge compliance with these principles with the Privacy Officer who is accountable within the Office for compliance with the Privacy Laws. Our Office has in place procedures to receive and respond to your complaints or inquiries. Affiliate – – means DCC Health Services Inc. and/or an affiliate or agent thereof, which provides institutional health care services, including dental laboratory, radiological and other diagnostic services, and the operation of dental operatories and dental equipment. Collection – The act of gathering, acquiring or obtaining personal information from any source, including third party sources by any means. College – College of Dental Surgeons of British Columbia. Commercial Electronic Message or CEM –is a message sent directly to an electronic address (such as an email address, a phone number, an instant messaging account, or social media account) with the purpose, or one of its purposes, of encouraging participation in a commercial activity. Commissioner – The Information and Privacy Commissioner for British Columbia, or the Privacy Commissioner of Canada, if applicable. Disclosure – Making Personal Information available to any other person or body. Member – A member of the College and includes a health professional corporation registered with the College to practice dentistry in British Columbia. Office – The dental office operated by Dr. Larry Podolsky Dental Corporation which provides professional dental services comprising of diagnosis, the interpretation of x-ray radiographs produced by the Affiliate, treatment planning and intra-oral professional services at 678 Dunsmuir St, Vancouver, BC V6B 1N3 CA. Personal Information – means information about an identifiable individual and includes employee personal information but does not include contact information or work product information. Contact information refers to information that enables an individual at a place of business to be contacted, such as the position, business telephone number and business address of the individual. Privacy Laws – All applicable laws governing the collection, use, storage or disclosure of personal information, including: the Dentists Act, Health Professions Act, By-laws of the College; the Personal Information Protection Act (PIPA), the Personal Information Protection and Electronic Documents Act (if applicable), An Act to promote the efficiency and adaptability of the Canadian economy by regulating certain activities that discourage reliance on electronic means of carrying out commercial activities, and to amend the Canadian Radio-television and Telecommunications Commission Act, the Competition Act, the Personal Information Protection and Electronic Documents Act and the Telecommunications Act (CASL), and regulations made under these Acts. 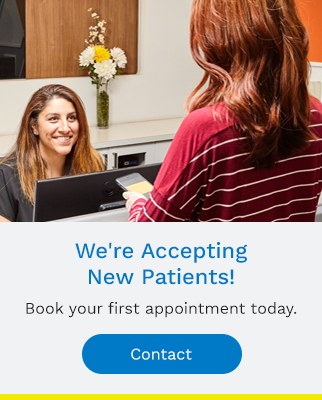 Service Providers – means dentists and dental professional corporations providing professional services at the Office in conjunction with Dr. Larry Podolsky Dental Corporation and the Affiliate.